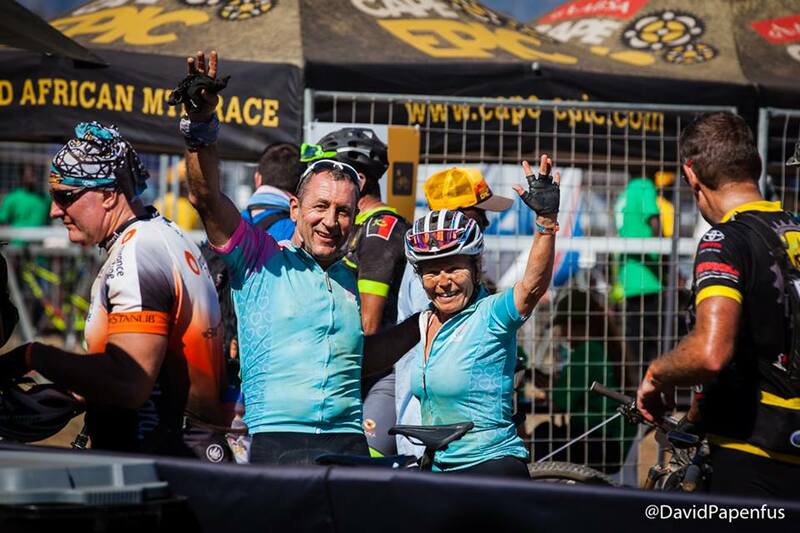 The 15th edition of the Absa Cape Epic will taking place from 18 to 25 March 2018 and will be as challenging as ever. 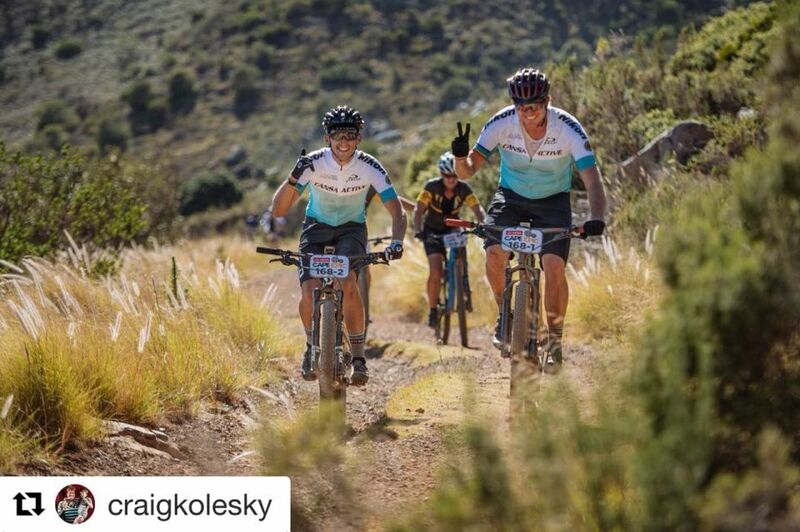 Local and international mountain bikers will tackle the demanding eight-day adventure through the Western Cape region in South Africa. 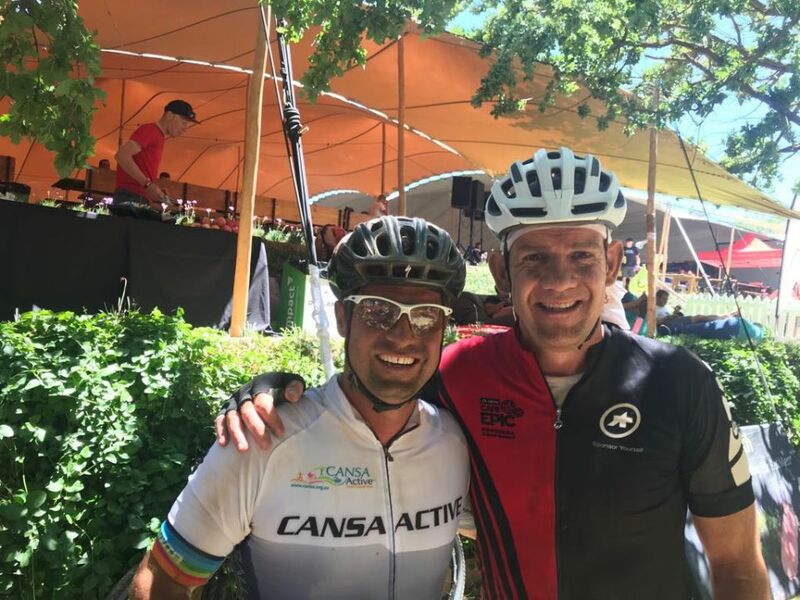 The Absa Cape Epic must be completed by both members of a two-person team with only 650 teams allowed to ride the race. 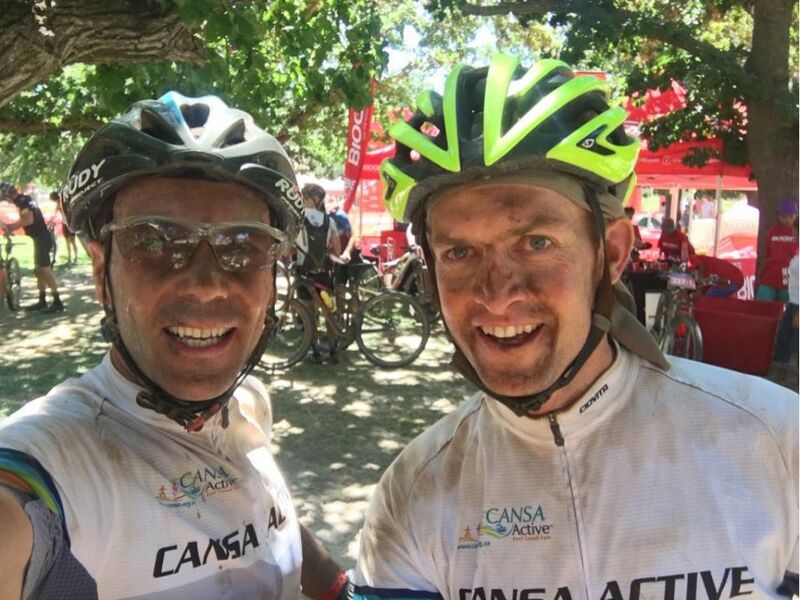 Team 1: Johann Klindt + Etienne van Rensburg (CANSA Active) – donate towards online fundraiser – Cape Epic cyclists face treacherous terrains – probably the hardest thing they can attempt. Cancer patients’ journeys make these mountains seem small. We firmly believe that spreading the message of lowering cancer risk through exercise and a balanced lifestyle can contribute to reducing the cancer burden in SA. CANSA’s health campaigns are supported by funds raised in this epic challenge, and we hope you will support us. Team 2: Nicky Webb + Cecil Munch (ILoveBoobies) – donate towards online fundraiser – ILoveBoobies is a non-profit organisation and registered PBO, raising funds and awareness for breast cancer screenings for rural South Africans. With the funds we raise, we aspire to send Mobile Health Screening Clinics to remote towns and villages in SA, aiming to increase early detection to prevent breast cancer. Our goal for 2018 is to raise R500 000 to donate to CANSA for Mobile Health Screening Clinics. 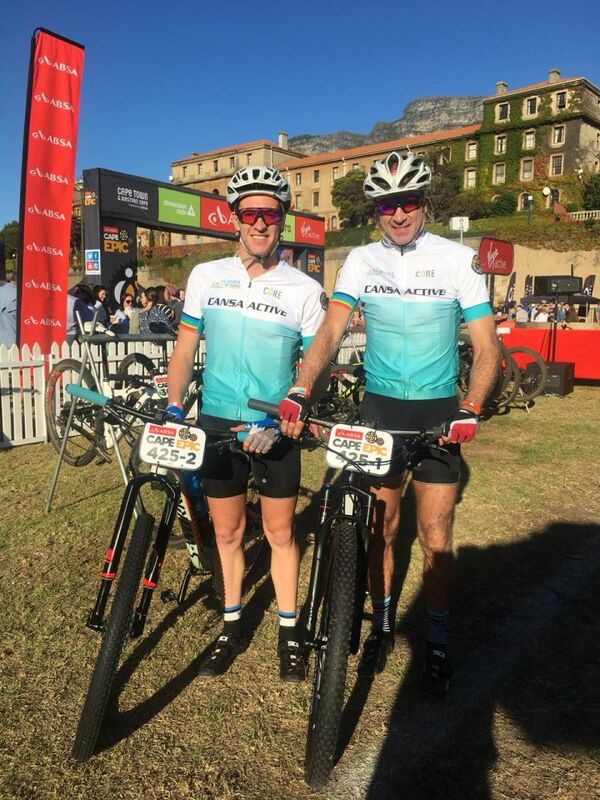 After we have completed the Absa Cape Epic 2018, the ILoveBoobies 4 CANSA Active Road Show will visit Ashton, Robertson, Worcester & Wellington. 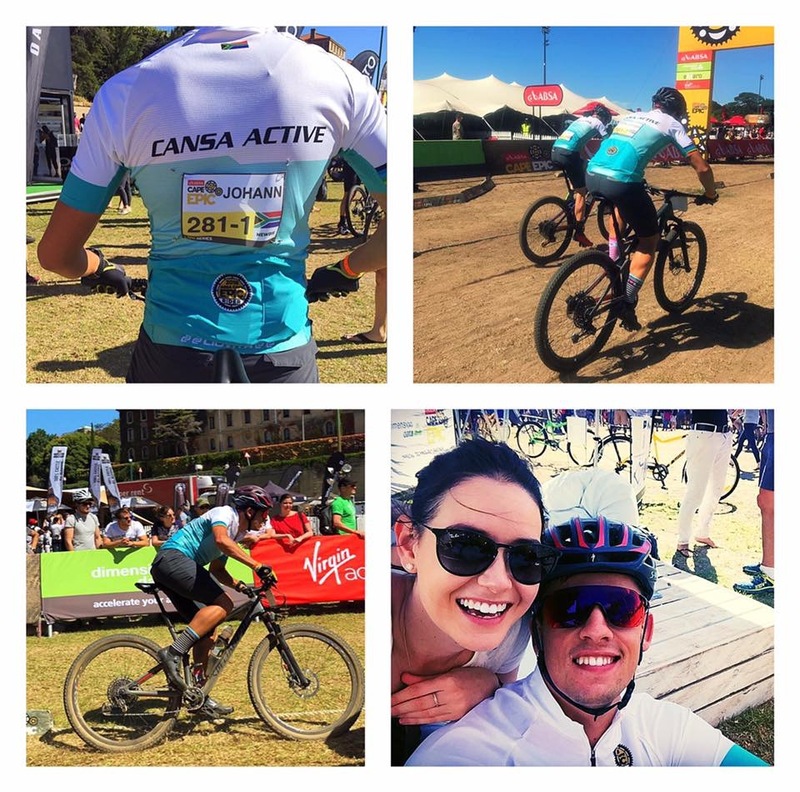 This is the 3rd year that we have partnered with CANSA Active, the Absa Cape Epic’s media programme is second to none, the event is broadcast live all over the world. 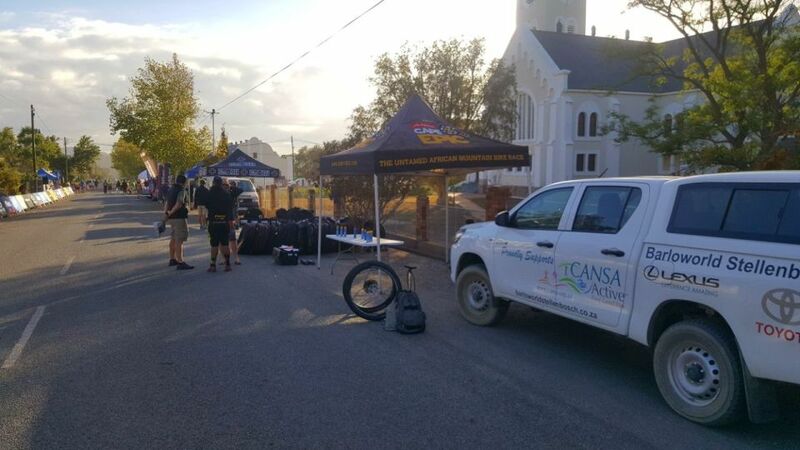 Special thanks also to Christo Bestbier, who unfortunately had to withdraw from the event, for his support and fundraising efforts on behalf of CANSA, and to Stellenbosch Toyota, for their sponsorship of a support vehicle.